Home Gambling How Does a Gambling Site Operate? 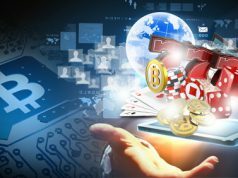 Almost everybody knows that gambling sites must rake in a profit to operate, but how do they make profit? Why do some shut down? 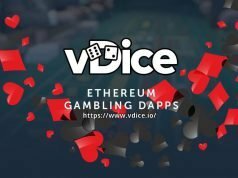 Can you destroy a gambling site? We’ll help you understand how a casino works and some tips on how you can be more successful with investing. Yes, a casino can go bankrupt. As with gamblers, even casinos need bankroll management. In order to manage the bankroll, a casino will typically limit the maximum earnings a player can make from a single bet. 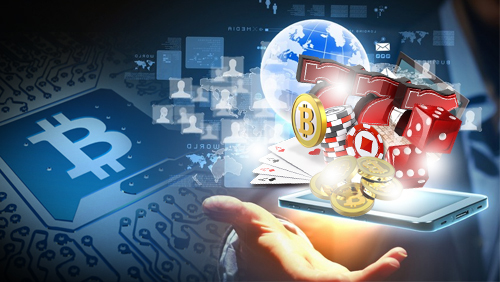 The number that is usually used for casinos is right around 1%, which may seem like a small amount, but considering most casinos have bankrolls of more than 100 Bitcoin, it is usually not a problem. Casinos also prefer to keep their risk of ruin below 1% so they won’t go broke; this is a very effective strategy and is used throughout the web. Risk of ruin is the chance of losing your entire bankroll. The lower the house edge, the higher is risk of ruin, the higher the house edge, the lower is risk of ruin. 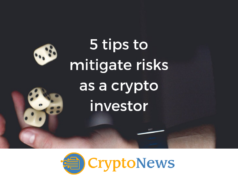 Investing is sometimes more profitable than even just playing in a casino, but it is equally as risky; this does not guarantee profit in any way, shape, or form. Investing is just investing in the site’s bankroll, and by investing, you are helping the site out by increasing its bankroll and maximum profit. When you invest, you are earning funds proportional to the fraction of the bankroll you’ve invested. An easy way to visualize this is that if a user loses 100 Bitcoin, and you hold 1% of the bankroll, you will earn 1 Bitcoin. If the player wins, however, you lose 1 Bitcoin. Because of house edge, profit is possible in the long term, but short term losses can still destroy your investment. For this reason, investing is theoretically profitable, but still carries a high level of risk. Watch how provable fairness is implemented on website. If it’s too complicated to understand and is without instructions how to verify your bets, search or ask on various forums about it. Also, make sure the hashed server seed is known to you before every roll. Kelly criterion is usually used in investing, and although few gambling sites use it, it is a very good way to plan your investment and leverage risks. A Kelly Factor of 1x would mean you’re risking the standard percentage of your investment on a player who maxes bets. This also means that a person who invests 1 BTC at 20x will get the profits of someone who invests 20BTC at 1x; however, just like regular gambling, a higher Kelly Factor has more risk involved. While not the most engaging form of gambling, investing can occasionally be profitable, but also carries risk. The Kelly criterion also creates a virtual bankroll, which is much higher than actual bankroll thereby increasing it maximum profit per single bet in an unnatural way. This means that someone can win only 1% of virtual bankroll, but he’ll win 10% of actual bankroll, because the Kelly criterion is set so high.